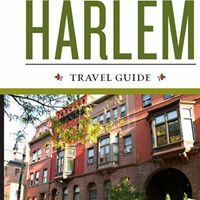 Black Jews started forming Harlem congregations in the 1910s, based on the conviction that Africans were descended from ancient Hebrews and that Christianity was a religion imposed on them during enslavement in America. But few traces of their presence remain in the neighborhood. Ms. Glicksman has spent two decades making a film about the Jews who worshiped there, the Commandment Keepers Ethiopian Hebrew Congregation. She attended countless services in its sanctuary. Hebrew letters and Commandment tablets, now faded into illegibility, were painted on the windowpanes. She remembers the smell of kosher soul food wafting up from the kitchen at the back. She pointed out scrawled Hebrew letters and Stars of David on the raw lumber boards that block the arched doorway as the building is under renovation. “It’s really an amazing wall,” she said, the graffiti itself worthy of recording and display. Her film in progress, called “The Commandment Keepers,” will be screened on April 17 at the 92nd Street Y in Manhattan. It traces the congregation’s history, from the early black rabbis’ sermons and writings about their commitment to Jewish rituals to their followers’ persistence in the face of racism and anti-Semitism. During the recent visit Ms. Glicksman turned away from the former synagogue and set off to pore through Commandment Keepers archives at the Schomburg Center for Research in Black Culture in Harlem. She keeps turning up material to add to the film, which will require $100,000 to complete. In a portfolio of 1960s photographs by Larence Shustak, she leafed through close-ups of black hands on Torahs and menorah candlelight flickering before a black boy in a prayer shawl. Uncaptioned snapshots in another file contained image after image of Ms. Glicksman’s interviewees over the decades, some of whom have since died. In a stack of congregation newsletters, Ms. Glicksman turned to a black columnist’s prediction that anti-Semites would harass the Commandment Keepers “as we become more affluent.” Another newsletter reported on a Brooklyn yeshiva that had expelled a black cantor’s sons for not having what mainstream Judaism considered the correct lineage. The Harlem historian John T. Reddick had joined Ms. Glicksman for the Schomburg browsing; he is working on an exhibition about influential entertainers among the neighborhood’s blacks and Jews. The scattered black Jews in New York have kept much of their collections of ritual objects, Rabbi Sholomo Ben Levy, a historian who leads a Queens congregation that grew out of the Commandment Keepers, said in a recent phone interview.